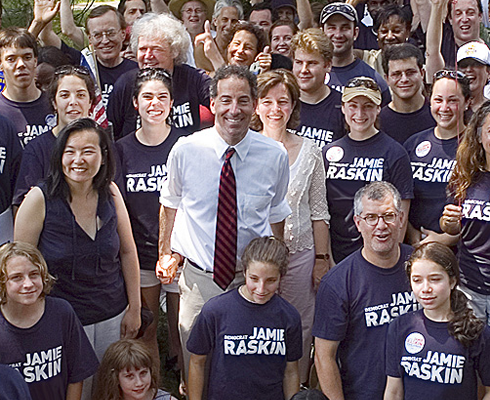 Jamie Raskin for Congress is now accepting applications for Spring 2019 internships! Internships are open to high school and college-age young adults. We are accepting rolling admissions and offer flexible start dates. Internships are unpaid but school credit and travel reimbursements may be available. Apply now! Do you have an interest in learning more about electoral politics? Do you want to be on the ground floor of helping organize efforts to continue the momentum of 2018's Blue Wave into 2019 and beyond? If you are interested in gaining valuable experience in politics, please apply now!